To apply online, first you need to register to create a username and a password. Make sure to write your login information down somewhere safe- it is what will allow you to go back and edit your application if you need to. You can register by clicking here. When you enter in your SSN or your parent’s SSN, your number will be compared to the listings in our membership database. If the number is not found in our database, you will be shown a “Not Found” message. You and your parents do not have to all be in the database to be eligible, but if there is no record for you or anyone else in your family, you will not be listed as eligible online. If you believe there is an error with the database and you or your parents is being incorrectly listed as inactive, contact the local union office to confirm the membership status is correct with your local union’s records, then email the International at cfscholarship@ufcw.org. In addition to the online application, all applicants must submit the Part B form along with their official school transcript. IF WE DO NOT RECEIVED THE PART B OR TRANSCRIPT PART OF YOUR APPLICATION BY MAY 26, 2019, YOUR APPLICATION WILL NOT BE CONSIDERED. The essay box will not autosave any content you type into it. To avoid losing any work, compose and save your essay on your computer, then copy and paste it into the essay box. GPA is on a 4.0 scale. Please use your unweighted GPA. Did we mention if we don’t get your Part B and transcript, you won’t be considered? Please allow enough time for your school to generate and mail your transcript by the application deadline. You will receive the Part B application after you have registered and completed Part A, the online portion of the application. If you attended school outside the US, you may need to convert your grades. You can use an online GPA Calculator to do this. *If you are Canadian and having trouble with the SSN field, you may want to contact your local union office and ask what number is used to identify you or your parent/guardian in their membership records as it can vary depending on your local union. 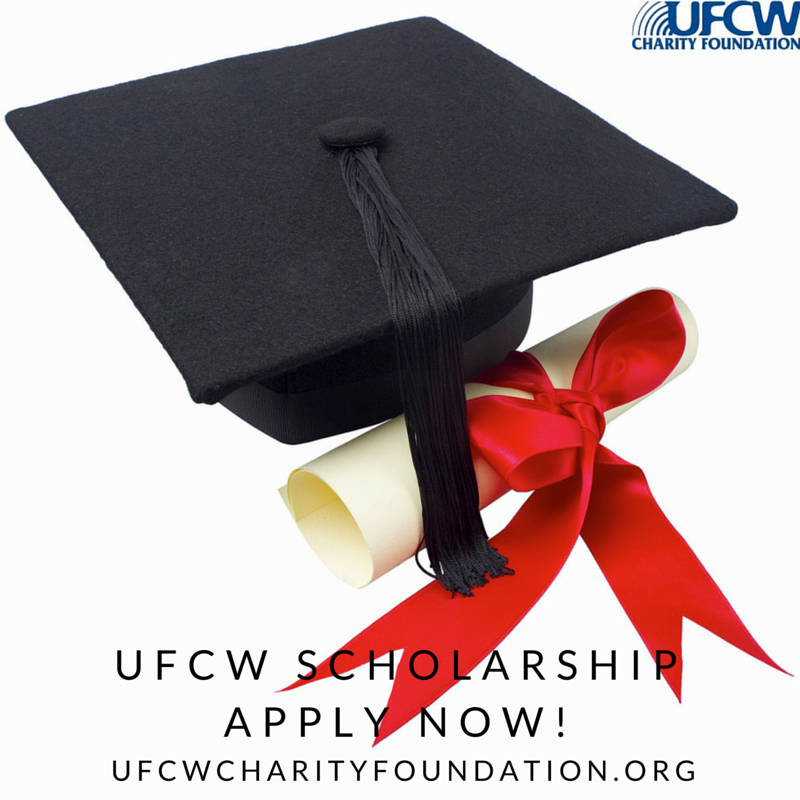 If that number does not work, contact cfscholarship@ufcw.org.